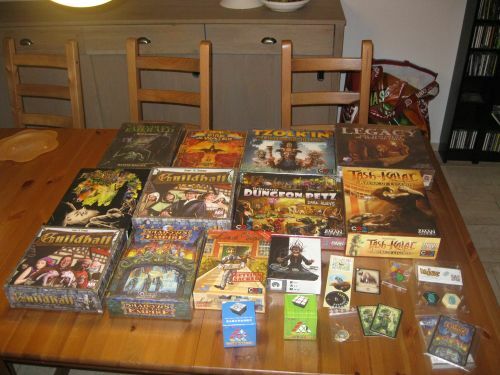 My Essen 2013 list - with some first impressions. We were at Essen browsing, getting explanations, even playing a few games, and buying too many new games and expansions. This is the first game we got. We always like to check out Nates new game, and after getting an short overview from Nate, we just had to get our own copy. The board is really neat, with the folding to reveal more and more of the path, and the 3d pictures. I've read the rules, and it sounds interesting, but no play yet. As we were continuing our walk through hall 3, we came across a demo table for this one, and as they had some open spots, we decided to give it a try. It's a nice quick card game, with some take that. It's fun to try and figure out what the other players will go for and trying to mess with their plans. I think we played for less than 30 mins, including rules explanation. A copy went home with us, which got played again with some friends as the starter of our "Essen games try out afternoon" on Friday. We've now also played 2p, which is ok, but not as much fun as the 4p games were. This is the game I was most interested in beforehand. After watching Rahdo's video my husband was convinced as well that this was something we'd like, so this was our next stop. We've played this one twice (2p both times), both times went quite differently. 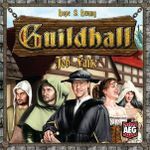 The first time we were much more focused on how to get a reasonably sized family, and trying to figure out how to do anything with the two measly actions you get each turn. The second time we (my husband especially) focused much more on the shared actions. Hubby won by a landslide with a couple of mansions, 2 titles, 2 big parties, a venture, and some excellent marriages (and points for all categories on his patron card). We played another game, 3p this time, and it was really close between me and DH, he won by 2 points in the end. I'm liking this one more and more, I'm even considering the solo version (not a big solo player normally). 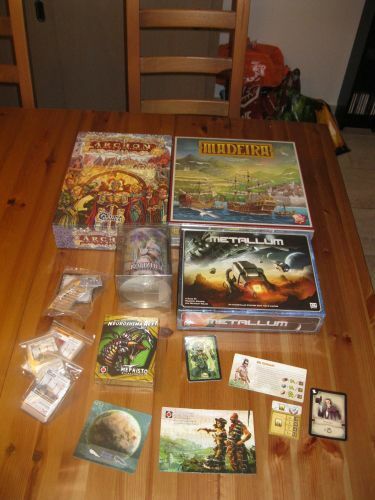 Across the isle from Portal, there was a bargain stand with some pretty good games at very nice prices (a lot of our friends bought Nefertiti with expansion for 15 euros there). We bought this Dungeon Twister expansion, as we like the game, and though we rarely play it, for 5 euros it can't hurt to have some more variety. Some of our friends found this one at the AEG booth for 10 euros. As we'd played before and really liked the game (it was on my wishlist), we couldn't pass that one up. And when we heard they sold this one for 20, we had to add this one as well. Both games are very good when played separately, lots of interaction, but combined we had even more fun. We had a really fun (and annoying) combination of characters that had cards going everywhere. 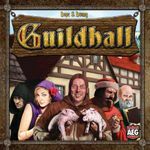 After that game we pretty much decided that if we'd get Guildhall, we'd want both (eventually). We've since played a few more times with mixed sets, and it really is excellent when combined. Which jobs are in the mix really makes a difference - when we didn't have either farmer or tax collector and a lot of interactions cards (on purpose, the people we were playing with like take that games) the game took about 2 hours (which was a bit long). The next game we played had very little interaction (by accident), and farmers (we learned from the previous experience ), and was over much quicker. This one piqued my interested because of the theme. We went to Treefrog and asked for an explanation. The game sounded like fun, and the people playing at the demo tables seemed to be enjoying themselves, so we got a copy. I played this once with my husband, and the mechanicms aren't all that hard (I got the impression things were really complicated from the way the board looks when the game is set up). Basically you play cards to push stuff around on a board, and you try to get majorities so you get new cards for your deck (and points). It wasn't easy to do well though. The hidden identity is probably more interesting with more players, but our game was still fun. I really want to try this one with more players. 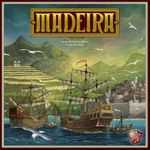 As we like quite a few of Vlaada's games, I was interested in this one. My husband wasn't convinced, so when we saw an open demo table, we immediately asked to play. 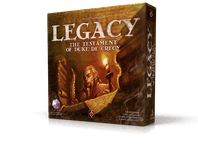 We played the shorter demo game (no legendary creatures), and both had a great time. I liked trying to set up the patterns in such a way that it almost impossible for the other player to mess with all things you might do. We had a nice battle over the middle of the board (there was a card that gave points for that). The game ended because our decks ran out. The demo was enough to convince hubby that we wanted a copy . We tried a full game (with legendary creatures) at home, and that's even better. I managed to get a legendary out, and from there it sort of snowballed, and I got all 3 of them on the board. My husband got behind a little and played a few flares. We had a lot of fun again, and I'm glad we got this one. We really like the base game, but we haven't tried the expansion yet. With the bonus tribe and prophecy. 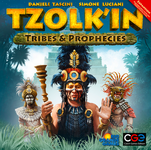 I'm not sure about the tribes, they seem a bit mixed in terms of how useful they are (we both had an obviously lesser choice in the two we got to pick from - then again, first time, so maybe we need more experience with the expansion). The new buildings are ok, we didn't build the lvl 1 ones, but I sort of regretted that later. The option to remodel seems pretty good in retrospect. All in all nice expansion, but definitely not one to mix in with the base game when playing with new players - there's too many extra things to pay attention to. Another expansion for a game we really like. With the extra hats and messenger promo. This is a nice expansion. It doesn't change the feel of the game, it just gives more options. We just added everything in at once (2p with my husband). Losing a job made for an interesting extra task, making losing all the money just that bit harder. The modular board is probably most interesting if you play quite regularly, I'm not sure how much influence it had now (we hadn't played Last Will recently, so the old board wouldn't have been that familiar anyway). The extra cards are nice, and give some extra options (2colored houses, wedding related things that can all be played together for 1 action). After the one play, this seems like a solid expansion, that we'll likely just leave mixed in with the base game. And another expansion. With bonus pet. We saw this one at the Artipia booth while we were waiting for an explanation of Archon. We also had this one explained to us and decided to get a copy. We also got some extra cards. We played once with 4, and it ended up being a tug of war over the center card. Eventually one of us won because another player overlooked something. Not sure if that was just us, but it dragged a bit. Our friends got a copy too, and they played 2p, and that was over really quickly, so I'm not sure about this game. I seems to have balance issues (then again, it could just be us missing something on our first play). We also played a 2p game, and it was over in 2 turns. I was red (and won), hubby played blue. Another expansion for a game we don't play all that often, but it seemed like a nice addition, and they offered to give us just the big piece for 5 euros (instead of having to pay 7 for both). Played once, and it's an excellent addition to the game. I had a bit of trouble at first remembering what all the pieces did (it had been a while), and I forgot that the pillbug can also pick up and move your own pieces, which enabled my husband to save his queen (and cost me the game). My husband also got 2 puzzle cubes. On Sunday we went back to the Artipia booth, because we couldn't really forget about Archon, and after watching the videos on it, we decided to buy a copy. The board looks really busy, but the bottom third is really just a very pretty buildings display. And once I figured that out, it all started to make sense (and a lot less overwhelming). The mechanism where you split your cards in two stacks of 5 for this round and the next is nice. After that it's worker placement, and focusing on lots of things to get points. We had fun, there didn't seem to be too much blocking in our 2p game, and I'm not sure if that'll be different with more players (more spaces get added). We played again, 3p this time, and there was a lot more interaction and blocking (and more use of the tax collector's ability). We didn't get this one on Thursday, but on Sunday hubby decided he did want this extra army for Neuroshima Hex! after all. We thought we missed some stuff in hall 2 on Thursday, so we went exploring there on Sunday. We went to the Galacta booth for their other game (King and Assassins), but while that wasn't our cup of tea, this looked interesting. The designer explained it to us, and we played 3 rounds. As we made a mistake in when we'd get money (we thought after 3 rounds, it is after each round), we decided to stop and just get a copy to play at home (got a bonus planet as well). Actually since then, the designer informed us that we could play that as a variant, if we start with 3 money. Unfortunately our copy was missing the plastic bits, but an email to Galakta later, those should be on their way to us now. Hopefully we'll get to play this soon. EDIT: I got the missing pieces in the mail today. 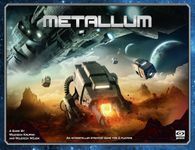 Excellent service from Galakta (they also geekmailed me in reaction to my mentioning the missing pieces on BGG, offering to send them), thank you! We played this, and still got some rules mixed up (we weren't paying attention to the money part again - now we forgot about giving money to 2nd place). Very nice game, there's more to it than I thought at first. I messed up my programs a few times, where I ended up not being able to go to the planet I really wanted to visit. I also ran out of cubes, and we weren't sure what to do - we decided I was out of luck and couldn't place anymore cubes, only move them with the planet actions. Not sure if that was right though. EDIT: It wasn't, you move them from other planets. We checked this out on Thursday as well, but thought it was too chaotic. However, we were still interested, so we went to What's your game? and asked for an overview. The guy explaining it did a really good job of making it sound complex, but logical, and after he stated that he saw during the fair that it works equally well with 2, 3 or 4 players, we bought a copy. Which we have since played once (2p). There's a lot going on, but it does make sense. We messed up a few small rules (taking dude of the fortress when using pirate die was the biggest I think, not doing so got me a nice advantage). Long game, we were thinking about how to do our turns quite a bit. Fun though, and interesting choices all around. We played again, 3p this time, and with the correct rules. Lovely game, everything really made sense this time, and you could tell that we'd played before and the third player hadn't. You can really go for a strategy based on the goal tiles you get to pick, we even went for some less interesting dice to get the better scoring option. And this was the last game we bought. The artwork caught my eye, and the explanation we got made it sound like a nice deckbuilder that's just a bit different from the ones we already have. We've played twice (2p both times) with different gods, and we had fun. Both games went differently, and the god you choose really seems to have an influence on how the games plays out (the rest of the cards are the same, they just come out in a different order). I like the Nightfall-like chaining, but without the (to me confusing) complexity of having to chain off your opponent(s) and going in reverse order (or whatever - like I said, confusing ). It's a nice, pretty simple, eliminate your opponent deckbuilder. We've played a 4p game, which was really nice, though we had to get used to the mechanisms of the cards and the wheels. After that we've played it 2p three times, which is excellent. Nice quick game, with quite a lot to think about/keep in mind. The cards work a bit different, but it still works really well. There's few enough buildings out that it doesn't take ages to read them, but enough that you can try to find nice combos.